Affiliate marketing (or Referral Marketing) has been around in the business world for decades. Multi-Level Marketing (MLM) is a good example of that. People purchase or join a service through you and you get a commission. But what is affiliate marketing online? How does it work and how is it different from traditional affiliate marketing like MLM? The big difference is while traditional affiliate marketing heavily relies on word of mouth and you actively have to look for potential customers, with affiliate marketing online customers come to YOU (your website) and purchase. You do not need to deal with each prospect. Sometimes a purchase gets completed while you are sleeping. 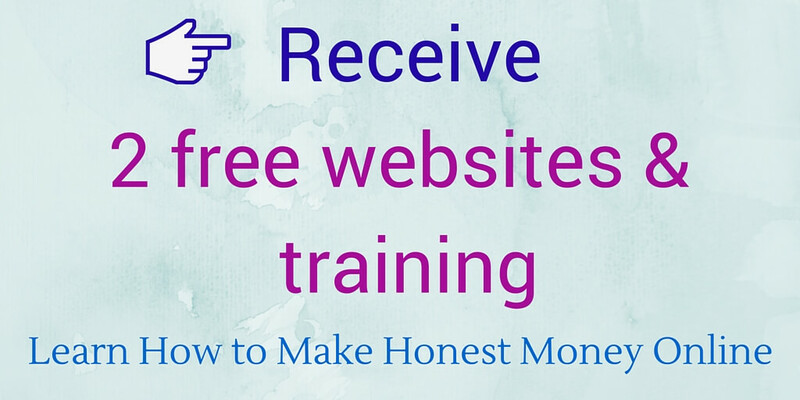 When you attempt to make money online, essentially there are two ways to do it. Sell your own product on a website. Sell someone else’s product on a website. The second one is affiliate marketing online. You promote other’s products on your blog site or website and get a commission by doing so. For example, if you promote a vacuum cleaner sold at BestBuy, your play the role of their salesperson. You promote their vacuum cleaners through your online content (blog post, video, etc.) and when someone makes a purchase, you receive a commission. It’s that simple. Most of the major companies have an affiliate program nowadays. There are practically millions of products/services you can promote online. Affiliate marketing online is by far the most beginner-friendly way to start receiving passive income because you don’t need to develop and sell your own products. It does take time to create a large audience to your website, but as long as you keep working at it you’ll get to the point where sales are made everyday without you doing the sales. From here, I will walk you through how affiliate marketing online works. The process of affiliate marketing online can break down into 5 steps. It is essential that you have a blog site or website if you want to succeed making money as an affiliate. Sure, it is possible to promote a product using social media such as Facebook or Twitter. But then you will also have to market toward your friends and family members… Do you want to spam them with your affiliate link? I don’t think so. Your own site is the foundation of your affiliate marketing. It is where visitors come and learn about you and the product you promote. They gradually build trust in you, bond with you and become a long-time customer. No one is going to buy from a stranger who they just met on social media. 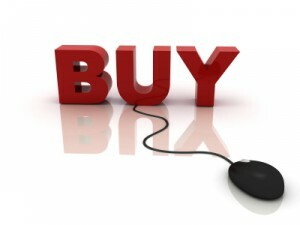 A website is a must for your affiliate success. “Website? I don’t know how to make a website? I am not a tech savvy!” I know, it sounds totally daunting, doesn’t it? Don’t worry; you are not the only one who feel like that. I used to feel the same way! I knew nothing about building a website, coding or anything. Creating a website on my own felt almost scary to me! However, it turned out to be not bad at all once I tried it. All you need is a right tool. Give yourself a try. You will be pleasantly surprised how simple it is. A niche to promote products within need to be carefully chosen. I highly recommend picking something that you are knowledgeable and have lots to talk about. 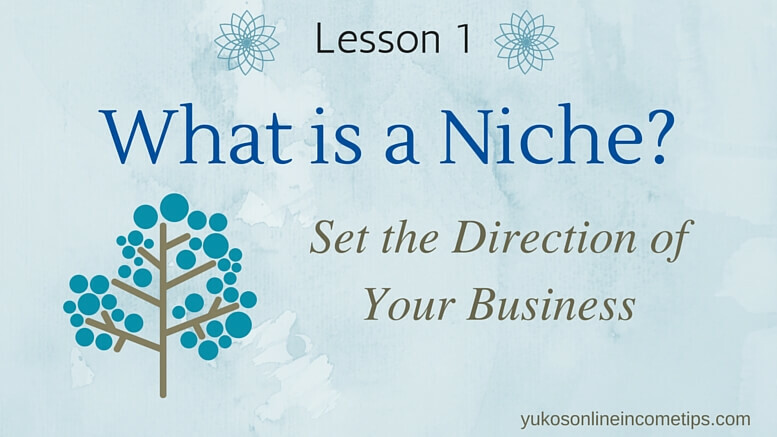 Read this post to know how to pick a perfect niche for you. Let’s say you are a mother of a toddler and have lots to talk about life with a baby. Baby food, baby clothes, baby toys, etc. Then you go to Google search for the keyword “baby products affiliate program.” The result will show you the companies that sell baby products online and have an affiliate program. Keep in mind, the key to success is to choose products that you feel confident to recommend to people. Remember, trust is vital in affiliate marketing online. Once you promote a crappy product, your customers bought it, and they will never come back to your site or worse, spread the bad reputation about you on the internet. Promote what you believe in, only. If you have actually used the product and liked it as a customer, that’s awesome. That’s the best one to promote. You can share a lot of positive aspects of the product, point out shortcomings, and give tips to make the best of the experience as a user. Online readers always resonate better with your personal stories. Who doesn’t like to shop at Amazon? It’s the most popular shopping destination in the online world and of course, they have an affiliate program called Amazon Associates. Once you picked a company, you can sign up for their affiliate program. You would want to have the basic setups done on your website with a few pages before registration. This is same with Amazon affiliate program. Before the approval of your membership, they manually review your site. You may have to wait 2-3 days at most for approval. Even if you didn’t get approved by one company, do not feel discouraged. There are many other companies that you can register. Once your registration is completed, you will have a unique “affiliate link” connected to your account, through which the company keeps tracking how many sales were made through you. Now it’s time for you to “market” the product. For example, you have a baby formula maker that you use everyday for your baby and love it. The company has the affiliate program so you joined. Now you are going to promote it, but how? Basically, you create content about the baby formula maker on your website. The most common method is to write a blog, but you can also make a video. The majority of online searchers nowadays love visual content. Either it’s a blog or video, describe the size, price, how it works, how you can clean it, why you like it, things that you don’t like about it, and overall share all the pros and cons with your audience. The quality of information and honesty is essential. Be yourself and share your thoughts just like you are talking to a friend. Approach this step with the mindset that you are trying to help a good friend. Provide as much helpful information as possible. Make the experience a good one for your visitors. Within the content (blog post or video, in this case), you embed a unique affiliate link assigned to you. If it’s a blog, you can add a text link to the word “HERE” as in “To find more about this product, click HERE.” You can also embed the affiliate link in an image or place a banner. Just be mindful not to fill your content with too many links. Again, don’t try to sell. Try to help instead. People buy from someone who helped them out or added value to their lives. A visitor liked the baby formula maker you recommended and clicked the link to be sent to the company’s website. (or Amazon.com, Walmart.com, BestBuy.com, etc.) She purchased the product and completed the order. The company sees that this new customer came through your affiliate link, and paid a commission to your account. Most companies provide payment options. They are normally direct deposit to your bank account, a check by mail, or PayPal. 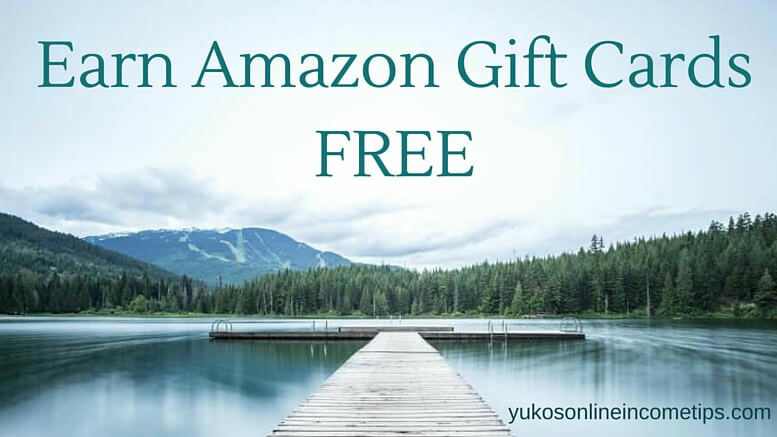 Some companies even offer gift card options as a form of payment. Payments are made either weekly or monthly when the balance hits a certain bracket as $50 or $100. This is how affiliate marketing works online. Your job is to promote products on the internet. You don’t have to deal with payment process or customer service. They are all done by the company that owns the product. Affiliate Marketing Online – Why Not? Interested in trying affiliate marketing online? Have a good idea what niche you would select? Google search affiliate programs within the niche and see what you will find. That should give you a good idea as to what direction you want to take your online business. Do brainstorm. If you are not sure what products to promote, you can join one of the affiliate networks and browse through companies inside the network. This is another great way to brainstorm. 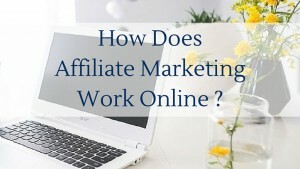 18 Comments on "What is Affiliate Marketing Online? 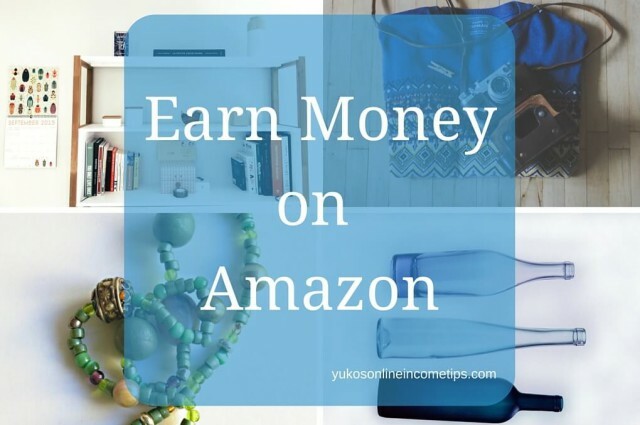 – The Quickest Path to Passive Income"
Hi Yuko, you are right. I come across your website because I am looking to make money online lol! Anyway, been hearing and looking for ways on how to make through affiliate marketing. Your post here is really helpful for me as brief guideline on what affiliate marketing is all about. In your opinion, why Amazon associates are your choice when starting out doing affiliate marketing? I thought there are other options as well. Thanks for stopping by and good luck to your endeavor as an online marketer! I really like the idea of building a website and all, but how do you drive traffic to your website. Do you need to pay for it? Like you said, I don’t want to spam friends with my website. How do you promote it without doing it? The best way to bring traffic is to build the authority of your website in the internet world. Keep developing your website in the manner that readers would like to come back, by providing valuable information in-depth and engaging in communication with them through comments. Hello, Yuko. I have to agree with you, that affiliate marketing is a very easy way to make money online. I also know, that it is a lot of work and doesn’t happen overnight. I think you have to look carefully at the percentage of commission you will receive as an affiliate with a certain program. Some are very low, unfortuately. Your article really lays out what is involved with affiliate marketing and for many this is ideal. I like how you have provided a step by step (the 5 steps) for a beginner to start the process. Well I’ve heard a lot about it online recently and I am looking to make a little exra on the side – one problem though…I don’t know where to start at the end of the day. Is there somewhere where you can go to learn all this stuff? I see you are promoting a course here – is it worth my time? If you are serious about making money on the side through affiliate marketing, I urge you to try out Wealthy Affiliate University. They have a very good affiliate program (high percentage of commission) but that’s not why I recommend it to you. It is literally a “university” that educates you to build skills to become successful online from zero experience. It is well worth your time. You won’t regret it. I actually regret that I didn’t know about them a lot sooner! You can read more about Wealthy Affiliate University here, or you can go to the site and explore it for yourself. It’s free to join. Thank you Chris for stopping by and good luck with your online endeavor! Hello Yuko, very good explanation on what is Affiliate Marketing. From the moment I got involved with this business model, I got hooked. Why would I produce my own products and take all the risks while I can promote other companies and organisations to grant commissions through my website? Although I am an offline entrepreneur and manufacturer as well, still I prefer affiliate marketing. Because it opens up so many opportunities I could never imagine. 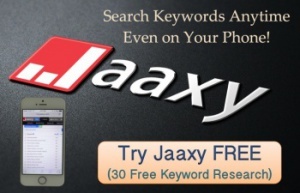 But along with the promoted content on a website an affiliate should provide additional useful content free of advertising. What is your preferred affiliate program at the time speaking? I totally agree with you! Why produce your own products when you can earn income by promoting other companies. I think affiliate marketing is the easiest and safest way for newbies to start out in the online business world. At the moment, my most favorite one is Wealthy Affiliate as I know the program will help so many people who wish to make money online and I feel pride in promoting it. I also like the affiliate network “Rakuten” that I get to access good affiliate programs of many major companies. I am enrolled in Amazon Japan, but not Amazon US yet. The sign-up process is pretty much the same. My blog site was approved instantly with 10 pages only. I recommend not to put ads within the website before approval though. The commission rate is rather low at Amazon, but it’s still worth involving due to its enormous name value. Thanks Tasos for sharing your experience. Best of luck to you with your online business! This was a great post about affiliate marketing. you have explained it beautifully, so many people make it sound way more complicated than it is. Amazon seems like a great place to start with their high recognition with customers as you pointed out. I have heard their commissions are quite low though. Have you found any other programs that offer a better rate? Maybe some of the lesser known brands? Thank you for the kind comment and I am glad you found the article useful. The easiest way to find affiliate programs with higher commissions is to join affiliate networks. I am part of Rakuten Marketing (aka LinkShare), and there you can skim through all the programs in each niche and easily spot ones that offer high commissions. For instance, within Health & Beauty niche, I see a company called “FOREO” offers 15-18% commission and “Catalase NOW” 25 % commission. I am not sure what the niche of your website is but I recommend you to try joining a few affiliate networks and see if you find programs that suit you. I hope this helps. Let me know if you have more questions. Wishing you a great success online Alison! Great explanation. It completely explains the retail affiliate marketing programs for me. When posting products to your website, how do you choose which products to present? Is there one affiliate program that you prefer above the others? Should i have a certain amount of traffic to my website or should it be a certain age before I sign up for the programs? To pick an affiliate program, I usually go to affiliate network websites and browse through companies registered within my niche. To earn income through affiliate programs, you have to have traffic to your website but that is something you can gradually build as you proceed. You don’t have to wait to sign up for an affiliate program until you have sufficient traffic. If you are interested in affiliate marketing, I recommend you to sign up for some affiliate networks. I signed up with Rakuten and ShareASale when my website was very new and still got approved. I’ve never noticed any age requirement, but to deal with and conduct business I suppose you have to be 18 years old at least? But I also know some high teens making money through Amazon Associates, so it could depend on the program. Please read the term and condition when you sign up for a program. Good luck! I am pleasantly pleased with the design, the colors, the photos, and good presentation. This makes it easy for me to find an article that I am interested in, and I found $0 to $10K. Great story! I can not agree with you more in regard to Wealthy Affiliate. I am a member and I use their platform, system and community to promote all of my online efforts. I assume you read Dom’s story. Can you believe he started out as a complete beginner and became that successful? Now he literally lives off his website and it is still growing. This is what Wealthy Affiliate teaches you; there is no shortcut to success, but you will build a business with a strong foundation that stands for years, with hard work and perseverance. Dom received all the education he needed at Wealthy Affiliate just like you are learning. You are exactly where you should be and you will be successful too 🙂 Keep working at it and don’t ever give up. Report back as I would love to hear YOUR success story too! I’ve heard so much about this over the years – I’m still not sure how it works and how so many people have success with it? I have a small blog on a free blogging platform – would this be big enough to start ( it is a free platform after all? ). I have just recently signed up for shareasale as I did not have much luck with Amazon! If you are serious about making money as an affiliate, I strongly suggest you to get at least your own domain name. If your blog is on a free platform, I assume it is no a subdomain? It may become an issue to get approved by Amazon affiliate program but more than that, it may affect rankings of your blog site within Google. Lower rankings mean less visitors to your blog, hence less revenue. Affiliate marketing is certainly easy to start, but the success comes only with the trust you build with your audience. Your need to present yourself as someone trustworthy and for that, your own domain name and great content to help your visitors are important. Hope these tips help. Good luck with your affiliate marketing journey!